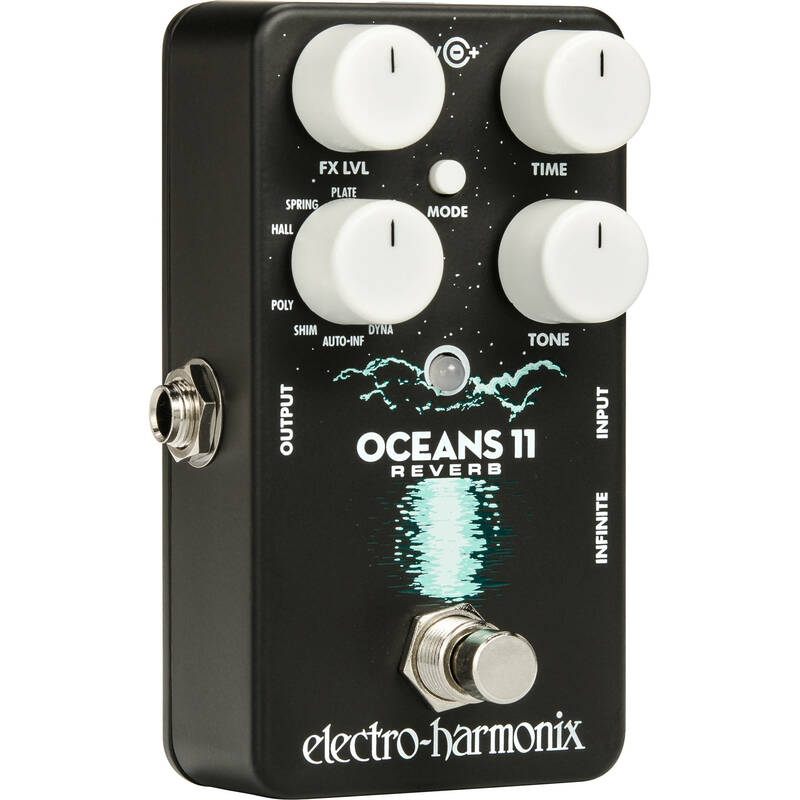 Electro Harmonix Oceans 11 Reverb Pedal – With 11 reverb types and a ton of “hidden” functionality, the Electro Harmonix Oceans 11 reverb pedal could be your new go-to reverb pedal. 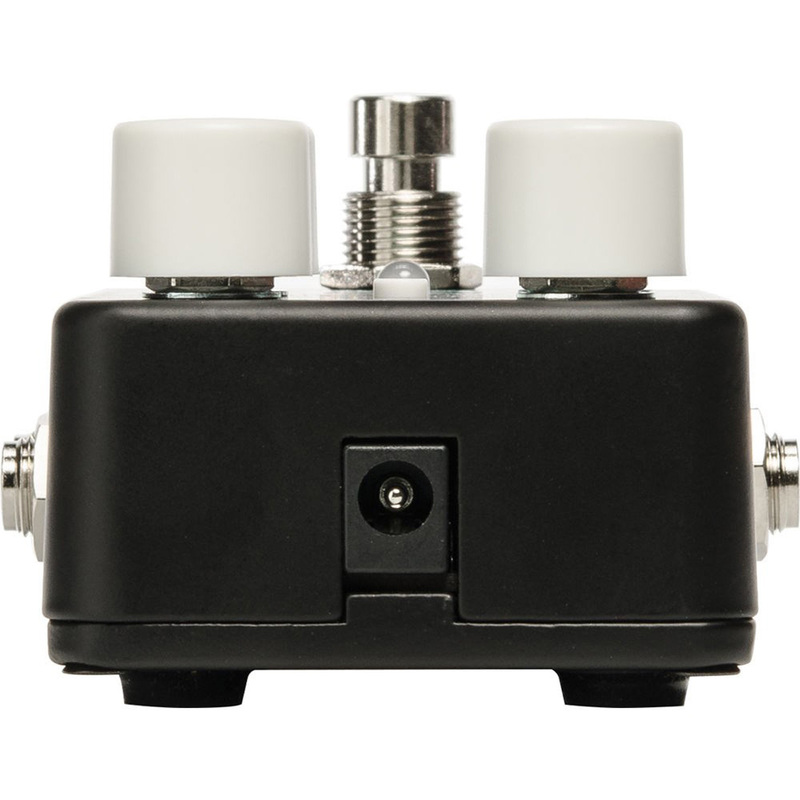 You can tap into classic tones like hall, plate, and spring reverbs, including a brand-new spring reverb algorithm that sounds gloriously complex and rich — you can even double-tap the footswitch to “crash” the spring reverb. 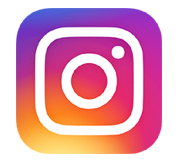 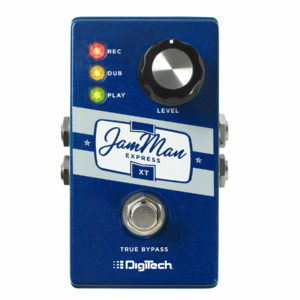 And you’ll be able to cover a huge range of modern tones with a variety of modulated reverbs, shimmer reverb, reverse reverb, and more. 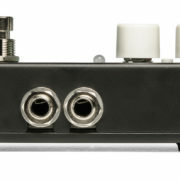 A mode switch offers access to variations on many of the 11 reverb types. 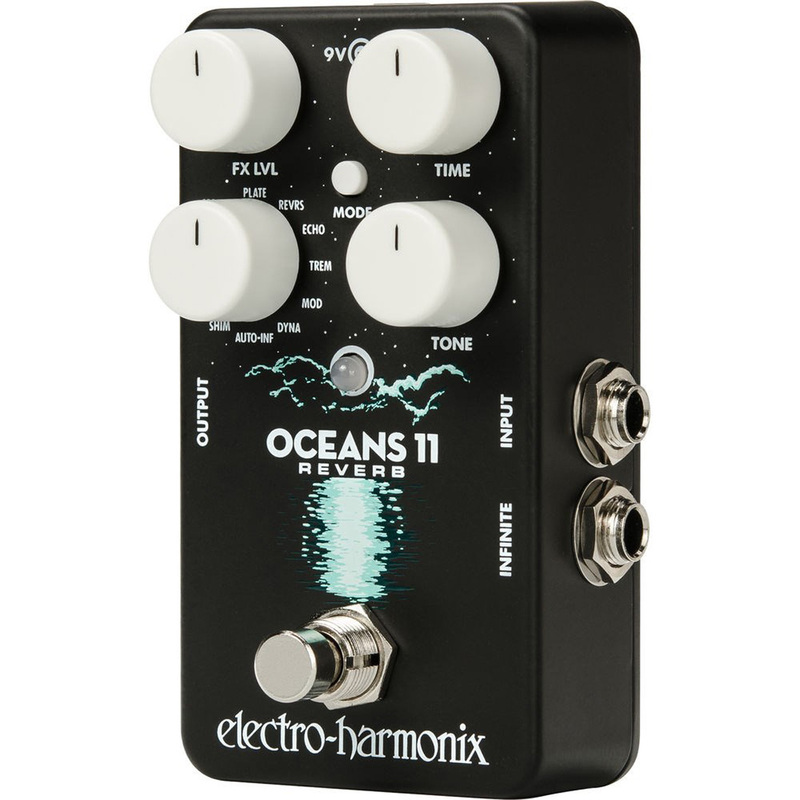 Complete with an infinite reverb mode for freeze-style effects, there is vast creative potential in the Electro Harmonix Oceans 11 reverb pedal. 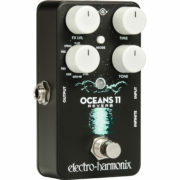 Electro Harmonix Oceans 11 Reverb Pedal - With 11 reverb types and a ton of "hidden" functionality, the Electro Harmonix Oceans 11 reverb pedal could be your new go-to reverb pedal. 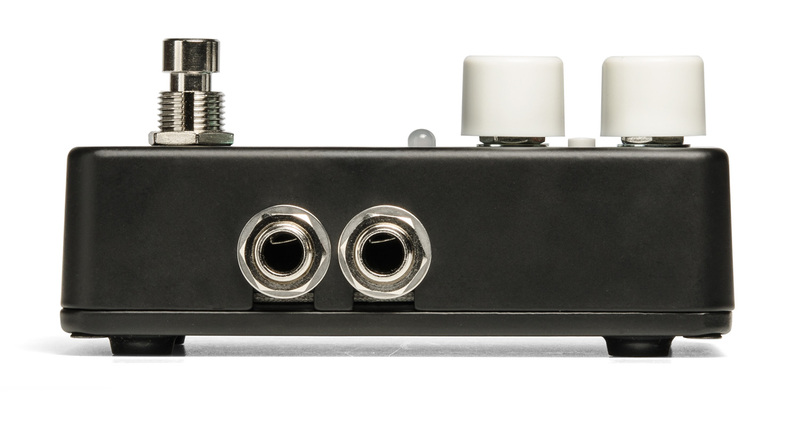 You can tap into classic tones like hall, plate, and spring reverbs, including a brand-new spring reverb algorithm that sounds gloriously complex and rich — you can even double-tap the footswitch to "crash" the spring reverb. 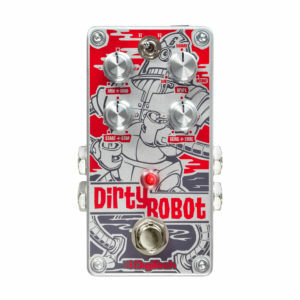 And you'll be able to cover a huge range of modern tones with a variety of modulated reverbs, shimmer reverb, reverse reverb, and more. 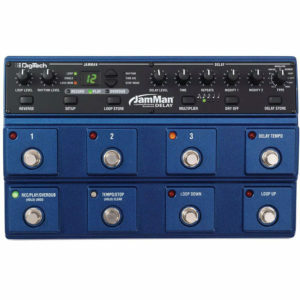 A mode switch offers access to variations on many of the 11 reverb types. 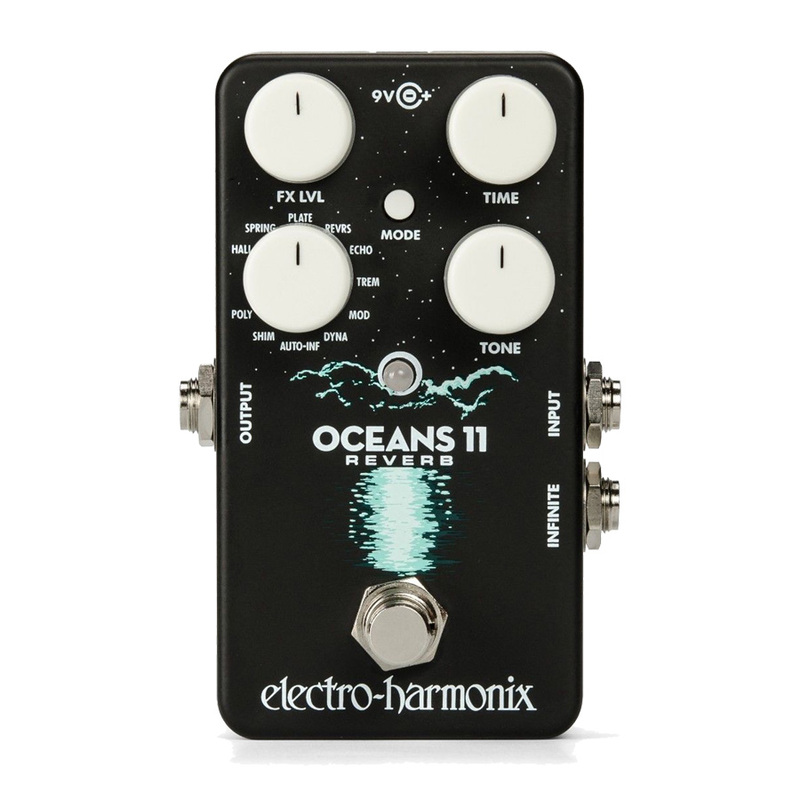 Complete with an infinite reverb mode for freeze-style effects, there is vast creative potential in the Electro Harmonix Oceans 11 reverb pedal. Guitarists have long been fans of Electro Harmonix's reverb offerings, and the Oceans 11 continues to impress. 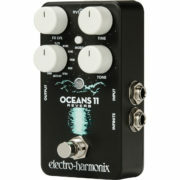 In addition to the 11 modes listed below, a mode switch gives you alternative variations on many of the different reverb types. You can also connect an external footswitch to trigger infinite reverb effects.